Venice-Florida based Omega3 Innovations has long warned customers not to consume poor tasting omega 3 fish oil. Now Norwegian Health authorities share the same concerns. While studies have revealed numerous health benefits of omega-3 fish oil, many of the fish oil products on the market sit on the shelves for three years or more, and are already rancid when consumers purchase the product. Now, several research institutions in both Norway and Sweden are working together to evaluate the health effects of swallowing rancid fish oil. One recent study from Norway showed that 95% of 113 over the counter fish oil capsules were so rancid that they did not meet official quality standards. Recently, Omega 3 Innovations participated in a fish oil review instigated by the Norwegian health magazine VOF, Vitenskap og Fornuft (Science and Reason). Omega 3 Innovations sent a bottle of Omega-Cure to Nofina, an independent research group working for the aquaculture, fisheries and food industry in Bergen. 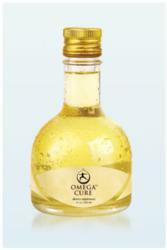 Nofina reported that Omega Cure's rancidity levels were a fraction of other top Norwegian oils. "The amazing flexibility that gives these fatty acids some of their health property also makes them susceptible to the damaging effects of aging, oxygen, heat and light," said Dr. Chalmers. Omega 3 Innovations develops, manufactures and sells ‘medical foods’ enriched with omega-3 fish oil and soluble fibers having clinically validated health benefits. In addition to their Omega Cure® liquid fish oil, they have several proprietary products that allow consumers to get an adequate dose of omega-3 in a single serving. In comparison to eating one Omega Cookie, a person would have to swallow 7-8 capsules a day to reach the same 2000 mg EPA/DHA dose (omega-3 fatty acids) the American Heart Association prescribes for lowering high triglycerides, or inflammation. Omega 3 Innovations is a physician-directed company with headquarters in Venice, Florida. It was founded by Bo Martinsen, MD a native Norwegian and Anne-Marie Chalmers, MD an American who studied and lived in Norway. 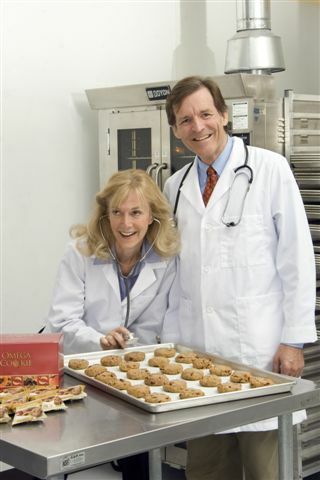 Both physicians have extensive clinical and research backgrounds. All products are manufactured in their facility in Venice.